Abderrahim, T. 2017. Tunisia’s decentralisation process at a crossroads. 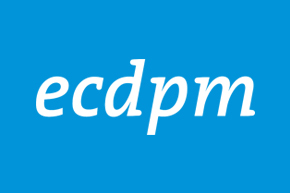 ECDPM's Talking Points Blog, 24 May 2017. Shafik Sarsar’s resignation as head of Tunisia’s Independent High Authority for Elections (ISIE) on 9 May, together with two other board members, cast the authority’s decision to hold the next municipal elections on December 17, 2017 into further doubt. 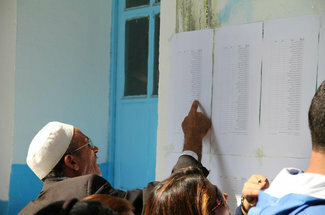 After delaying it twice, ISIE was able to finalise the date – a reference to the start of Tunisia’s 2011 revolution – after the long-awaited Law on Local and Regional Elections was adopted on 31 January 2017. More significantly, uncertainty over whether the Code on Local Authorities will be adopted before the elections further calls the date’s viability into question. The current municipal councils are unelected bodies that still function as they did before 2011. After the revolution, elected councils were dissolved and replaced by appointed special delegations. While legal, these delegations lack legitimacy and have failed to respond to local demands, becoming increasingly subject to partisan tensions. The composition of many delegations was changed several times in response to members’ resignation or absence. In some cases, conflicts within the delegations disrupted meetings and activities, which eventually disrupted services such as waste collection, limited the councils’ ability to block unauthorised construction, and delaying development projects. In November 2016 alone, such circumstances led authorities to replace thirteen special delegations with new members. Yet, even these new appointments have not alleviated tensions or improved the delegations’ performance. Six years after the revolution, municipalities make only a small contribution to local development, and frustration with these councils has been simmering. The Code on Local Authorities will unify all local government organisations in one legal framework that combines the many separate laws currently on the books. This would allow legislators to handle these laws in a coordinated and coherent manner and, as the decentralisation process continues, amend or create new laws that are compatible with the constitution. The code has undergone many revisions since the first draft was issued in October 2015. The latest draft – submitted to the Assembly of Representatives on May 11, 2017—outlines the prerogatives of local authorities, oversees their management of assets and budgeting, and defines their relationships with other entities, including civil society organisations, higher tiers of government, and international bodies. Most importantly, the new code is expected to help local authorities be more financially independent. Currently, only 4 % of the government’s budget is devoted to municipalities, lower than other countries in the region, such as Morocco, which gives them 11 % of the budget. By diversifying their sources of financing and providing guidance on how to allocate this money, the code will ensure that municipalities can afford to design and implement developmental projects to provide jobs and drive growth. As part of this diversification, the code transfers some tax collecting duties from the central government to local authorities, even though further legislation will be required to manage the specifics. The code will also establish concrete measures to ensure participatory democracy and open governance at the local level and pave the way for a broader decentralisation among different branches and tiers of government. 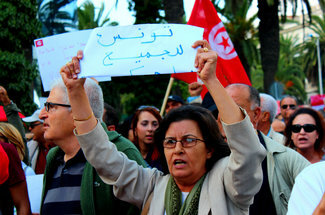 Adopting the new code ahead of Tunisia’s next elections? While it is legal to organise the elections without first adopting the new code on local authorities, this could impact the country’s reform process. The delegations are currently governed by Law 33 of 1975 on municipalities, which does not recognise their administrative and financial independence. This starkly contradicts the 2014 constitution, which stipulates that local government play the biggest role in local development. Without the code, neither voters nor candidates for the municipal councils would know precisely what the councils’ responsibilities are or what kinds of projects they will have the authority to implement. After elections, the municipal councils would temporarily continue working according to the outdated laws, until the new code replaces them. The new municipal councils would be uncertain about which laws to heed while preparing yearly plans and budgets. This confusion could make the new councils just as paralysed as the current special delegations. Many civil and political actors agree that the Code on Local Authorities must be adopted before organising Tunisia’s first free and democratic elections at the local level since 2011. They believe that, with real political determination, the Assembly of Representatives can adopt it in time if it divides the discussion of different sections of the code among several relevant legislative committees. Yet, if the long and contentious process of adopting the Law on Local and Regional Elections is any guide, the Code on Local Authorities is still likely to face similar delays and become subject to partisan debate after elections. Political parties that do well in local elections will support devolving greater authority to the municipal councils they control, hoping that this will also mean they have the local popularity necessary to do well in the 2019 parliamentary elections. Meanwhile, the parties that perform poorly could try to disrupt the decentralisation process and obstruct the work of these councils by blocking the adoption of the code. 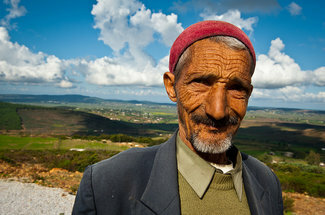 The Salvation and Progress Front, a group of ten political factions – including the Free Patriotic Union (UPL) and Machrou Tounes (Tunisia Project), which was formed by defectors from the ruling Nidaa Tounes party – has thus called for postponing the elections until the new code is passed. The coalition, which joined forces on 2 April to present a unified opposition to Ennahda, announced that it will appeal to the Administrative Court to push the December 2017 date to March 2018. This move is backed by other small or new parties, which hope that these extra months will allow them more time to prepare for the electoral challenge. Meanwhile, Nidaa Tounes and Ennahda, the two parties most likely to perform well in the impending elections, recognise the importance of having the Code on Local Authorities but believe that the local elections should not be delayed further. ISIE likewise supports holding local elections this year to have adequate time to prepare for the legislative and presidential elections in 2019. While the constitution provides a general framework and broad principles for decentralisation, specific laws are needed to implement them. Despite their absence, various experiments in local management and participatory democracy have mushroomed throughout the country, including several efforts to implement participatory budgeting. In addition, citizens in the southern oasis of Jemna seized and claimed their right to manage a state-owned property and formed an association to collectively manage the land, successfully using the revenues to boost local development in a way that benefited the whole community. This experiment highlights the need to revise laws on public properties and empower local authorities to manage them. 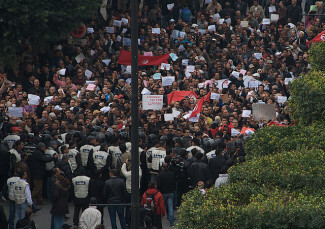 Tunisia’s reform process is at a critical juncture. The successful election of new, constitutional councils could help bridge the divide between citizens and the political class and restore trust in the country’s democratic transition. Photo courtesy of Freedom House via Flickr. This article is reprinted with permission from Sada ©2017, Carnegie Endowment for International Peace. 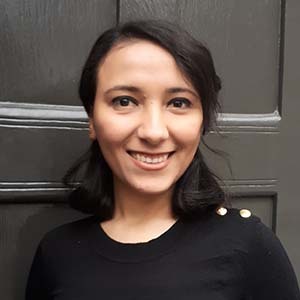 If you wish to read more of Tasnim’s work on Tunisia, take a look at our Dossier on North Africa. 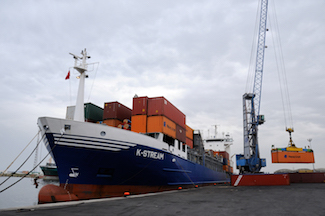 International support for economic reform in Tunisia: can it work with the grain? 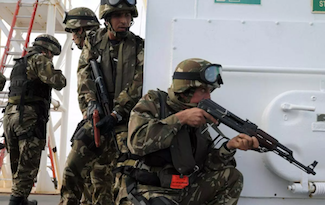 Defusing the terrorist mindset: a Maghrebi tale?